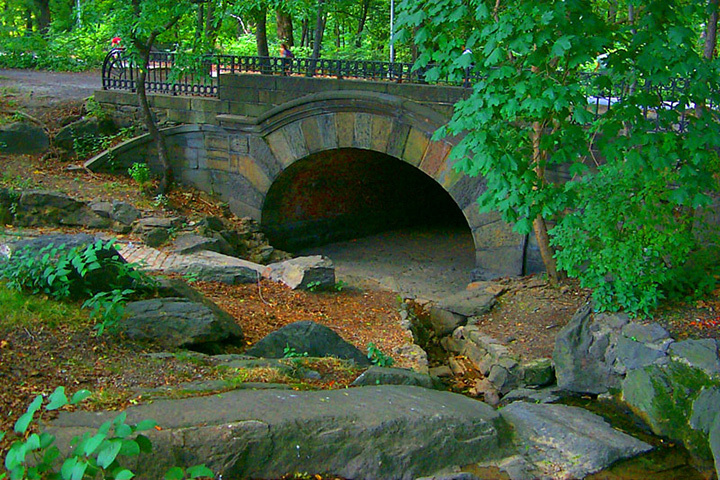 Miami In Focus Photo Gallery of the Springbanks Arch C102 in Central Park. Dimensions: Length - 71 feet: Height - 9 feet 2 inches. Passageway: Length - 17 feet 5 inches. Revetment (surface): Rough stone from the Hudson River Valley is wedged into a segmented pattern that borders the semicircular archway. Railing: Length - 50 feet 8 inches cast-iron on south side. Interior: Lined with red brick. 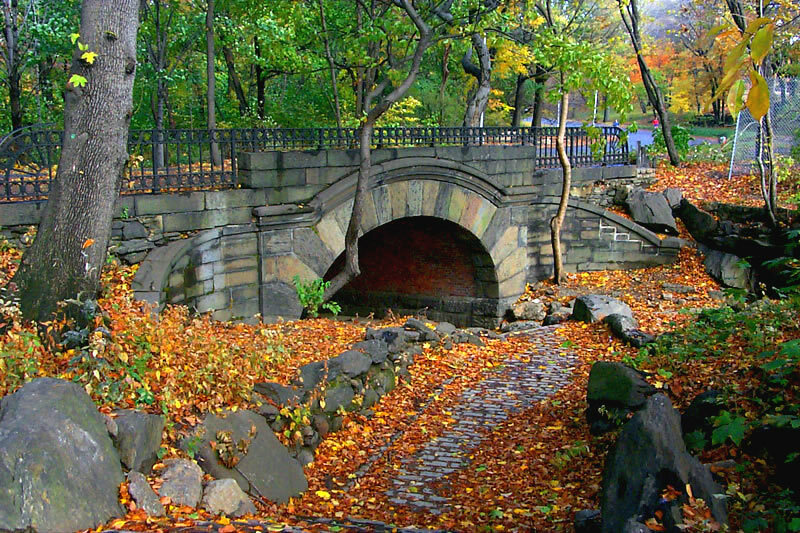 Central Park visitors run, skate, bike and ride horses over the Springbanks Arch, yet seldom have ever entered its gateway. 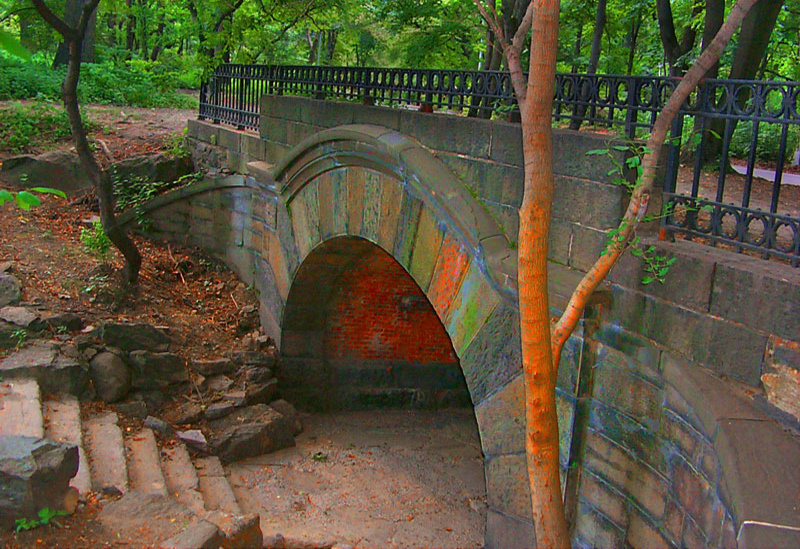 This obscure arch connects the North Meadow to the Ravine. The path that leads to the arch from within the Ravine is narrow and broken down, making it difficult to locate. 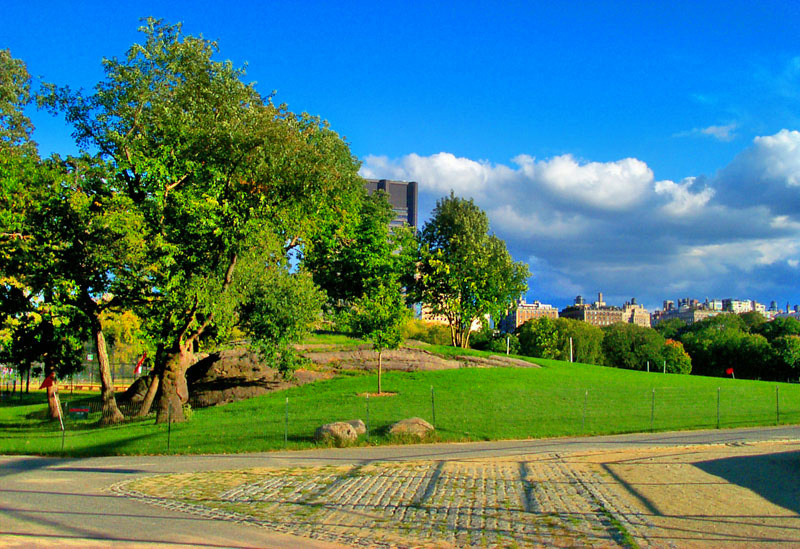 On the North Meadow side, a short flight of jagged steps leads from its underpass to its spectacular expansive landscape.